Launch from Cape Canaveral (KSC); landing at White Sands, Runway 17, Northrup Strip. The launch was delayed one hour because of the failure of a heater on a nitrogen gas ground support line. 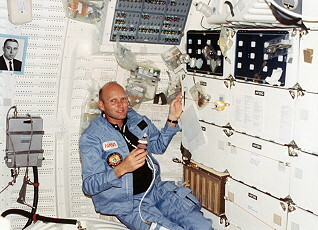 Commander Jack Lousma previously flew as Pilot of the second Skylab crew, staying aboard the space station for 59 days from July to September 1973. Jack Lousma had previously been selected in 1978 as Pilot for STS-2, which was then scheduled as a Skylab reboost mission. 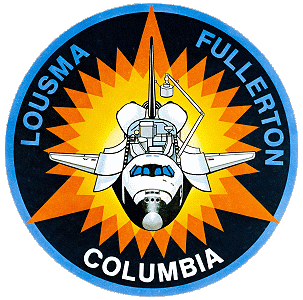 When delays in the Shuttle's development prevented Columbia from being launched in time to rendezvous with Skylab in 1979, STS-2 Commander Fred Haise retired from NASA and Jack Lousma was then moved up as Commander of STS-3. 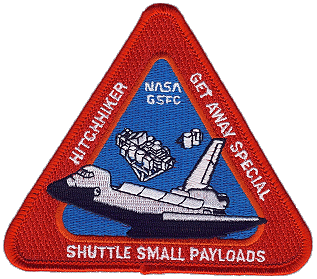 This mission was the third test flight of the Space Shuttle, carrying an array of astronomy and space science payloads in its cargo bay. For the first time, the External Tank was not varnished in white color, as in the first two flights. 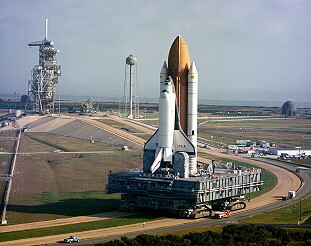 Payloads included the OSS-1 pallet in the cargo bay of the shuttle. OSS-1 obtained data on near Earth environment. Several other experiments (Monodisperse Latex Reactor, Heflex Bioengineering Test and more) were carried out. 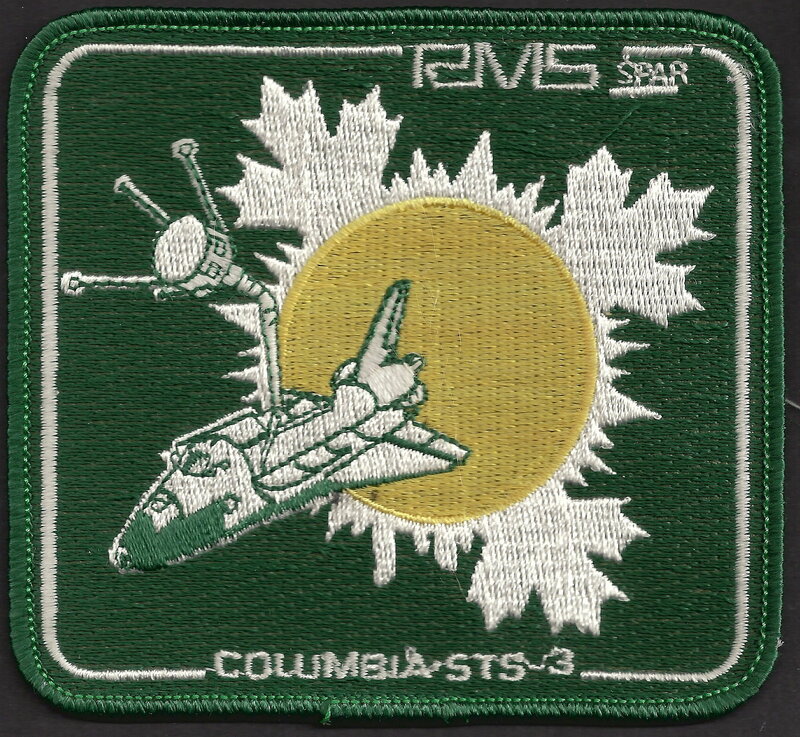 The STS-3 OSS-1 payload was dedicated to scientific investigations in space plasma physics, solar physics, astronomy, life sciences and space technology. 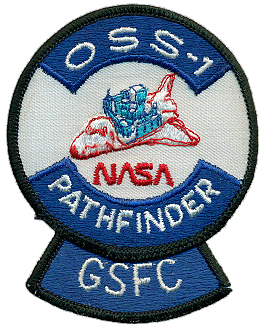 The payload was designated OSS-1 because the program originally was managed by the office of Space Science (OSS) at NASA Headquarters. That office now carried the designation of office of Space Science and Applications. The space plasma physics experiments were the Plasma Diagnostics Package (PDP), a project of the University of Iowa, and the Vehicle Charging and Potential experiment (VCAP), from Utah State University. The solar physics experiments are the Solar Ultraviolet Spectral Irradiance Monitor (SUSIM) - a Naval Research Laboratory project -- and the Solar Flare X-Ray Polarimeter experiment (SFXP) being conducted by scientists from Columbia University. The Contamination Monitor Package was designed to measure the buildup of molecular and gas contaminants in the orbiter environment. 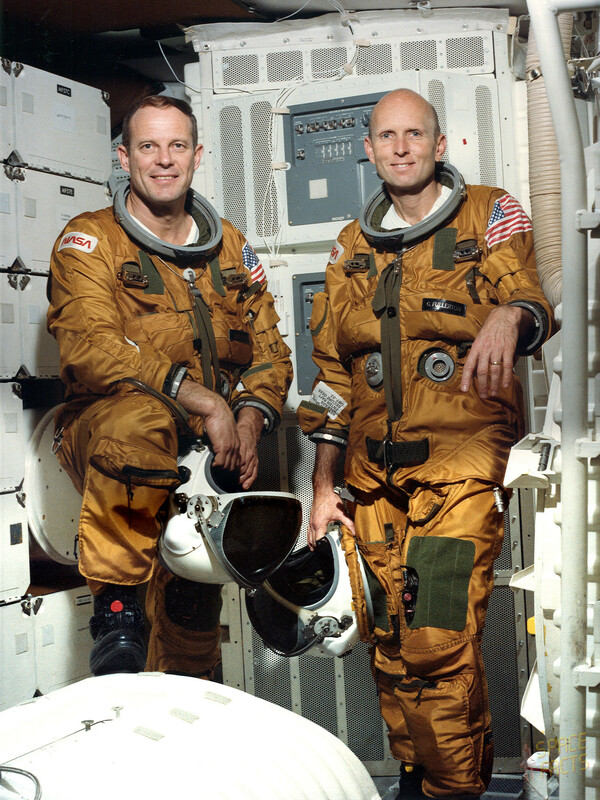 The measurements, when correlated with other instruments onboard STS-3, were expected to provide valuable insights as to how molecular contamination affects instrument performance. The contamination package, located on the aft/port corner of the pallet, was 30.48 cm (12 in.) long, 17.78 cm (7 in.) wide and 17.78 cm (7 in.) tall. It weighed 7.7 kilograms (17 pounds), and it contained four temperature controlled quartz crystal microbalances sensors that view both inside and outside the payload bay. In addition, two passive witness mirrors, supplied by the Naval Research Laboratory, were mounted on the experiment. The mirrors were coated with magnesium fluoride over aluminum, a material commonly used for optics in instruments designed to make ultraviolet measurements. The ultraviolet reflectivity of these mirrors tested prior to and after flight to monitor those contaminants which specifically affect ultraviolet reflectivity. The objectives of the Microabrasion Foil Experiment were to measure the numbers, chemistry, and density of micrometeorites encountered by spacecraft in near-Earth orbit. Data from those tiny particles were expected to yield new basic information about the history of our solar system. The experiment was a 1-square meter (10.76-square feet) sheet of 50 aluminum foil pieces of varying density bonded to a plastic (Kapton) substrate or foundation and was mounted on top of the Thermal Canister Experiment at the aft of the payload pallet. As the micrometeorites hit the foil's thin surface, they puncture the foil and form craters. Very light particles cannot penetrate the foil, but will form an impact crater on the foil surface. Somewhat heavier particles will penetrate the foil to a depth that depends upon the particle's velocity. Heavier particles will not be fragmented and will survive almost intact. Icy particles will fragment and form a number of small craters. An analysis of the fragmentation profiles on the plastic sheet under the aluminum foil will yield information on the particles' density. Those micrometeorites which at least partially survive the impact will undergo chemical analysis. The Plant Growth Unit experiment was designed to demonstrate the effect of near weightlessness on the quantity and rate of lignin formation in different plant species during early stages of development. Lignin was the second most abundant carbon compound (after cellulose) in plants and provided both strength and form to the organism. The objective of the experiment was to test the hypothesis that, under near or no gravity, lignin might be reduced, causing the plants to lose strength and droop rather than stand erect. Some think lignin is regulated by gravity. Few plants have been grown in space, although Russian experiments over the last several years have demonstrated that near zero gravity disorients root and shoot growth, enhances plant sensitivity to substrate moisture conditions, and generally results in a high mortality rate. During the Skylab mission, U.S. scientists grew rice plants in space. Little was known, however, about the physiological changes that occur under near-weightless conditions. Understanding gravity's effects on plant growth provided insight into plant physiology which is so necessary for an effective biological life support system for man's habitation of space for extended periods of time. 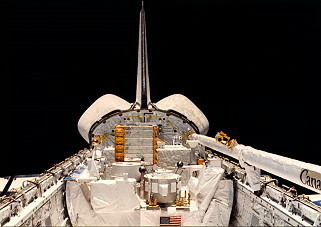 Ninety-six plants were flown in the experiment on STS-3 - 16 in each of six chambers were be carried in the orbiter's mid-deck. 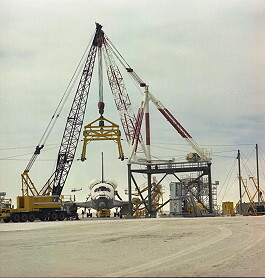 The rectangular terrarium-like chambers were be sealed and placed in a locker on the Shuttle within seven hours of launch. 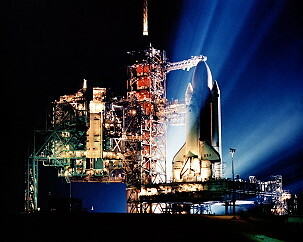 The locker, the size of a filing cabinet, was completely automatic, requiring no flight crew interaction, except that crewmen had to relay temperature data to scientists in the Payload operations Control Center at Johnson Center twice daily so that conditions surrounding the plants in space could be reconstituted with a similar group of plants being used as a control group on Earth. The control experiments were compared with the flight experiments following the mission, and that comparison should provide an assessment of the validity of the hypothesis that lignin will be reduced in plants grown in zero gravity. The Plasma Diagnostics Package was a comprehensive assembly of electromagnetic and particle sensors that was used to study the interaction of the orbiter with its surrounding environment; to test the capabilities of the Shuttle's Remote Manipulator System; and to carry out experiments in conjunction with the Fast Pulse Electron Generator of the Vehicle Charging and Potential Experiment, another experiment on the OSS-1 payload pallet. To achieve these scientific objectives, the package was deployed for more than 20 hours, and was maneuvered at the end of the 15.2-meter (5O-foot)long arm three times during the mission - flight days three, four and five. The package, developed by scientists at the University of Iowa, Iowa City, operated while attached to the payload pallet for another 36 hours. In support of those objectives, the package took measurements of electric and magnetic fields within 13.7 m (45 ft.) of the orbiter; ion and electron densities, energies and spatial distribution; electromagnetic waves over a broad frequency range; and determine the characteristics of the electron beam emitted by the Fast Pulse Electron Generator provided by Utah State University and measure the resulting beam-plasma interactions in terms of fields, waves and particle distribution. 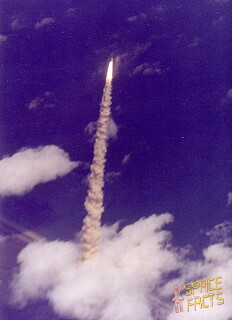 The Shuttle-Spacelab Induced Atmosphere experiment, developed by the University of Florida, provided data on the extent to which dust particles and various volatile materials evaporating from the orbiter produce a local "cloud" or "plume" in the "sky" through which astronomical observations can be made. Basically, a photometer or sophisticated light level meter measured the amount of light and its polarization coming, at any one time, from one direction in the sky in each of 10 different bands of color. A similar instrument flew aboard Skylab in 1973. 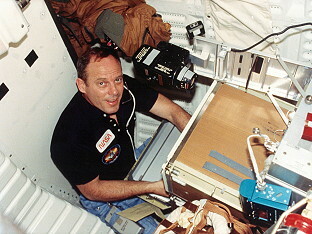 In fact, Jack Lousma, Commander of STS-3, worked that instrument on the Skylab 3 mission he flew almost nine years ago. On that mission, there was no discernible contaminant cloud in a direction 90 degrees to the Sun. These earlier Skylab observations constitute the baseline against which new observations will be compared to establish levels of the local cloud produced by the orbiter. 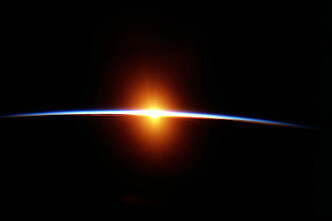 The experiment also measured diffuse sky radiation as seen from above the Earth's atmosphere. In the absence of contamination, that radiation consists of zodiacal light, light from bright stars, integrated light from faint stars, and diffuse galactic light. The experiment was located on the starboard side of the payload pallet. Weighing 82 kg (180 lb. ), the instrument was mounted on a gimbal which can scan in a vertical plane running fore and aft along the orbiter axis. 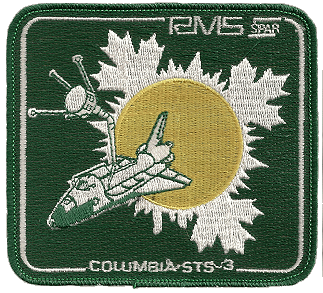 Combined with the changing attitudes of the Shuttle during the STS-3 mission, the scanning motion will enable the review of the entire sky between 20 and 120 degrees from the Sun. The Solar Flare X-Ray Polarimeter was carried aboard the OSS-1 payload pallet on the STS-3 mission to measure X-rays emitted during solar flare activities on the Sun. The polarimeter instrument on STS-3 used blocks of metallic lithium surrounded by xenon-filled gas proportional counters, similar to Geiger counters but a bit more sophisticated. If polarized (have their electric vectors lined up), the X-rays were scattered by the lithium in a manner which permits the scientists to deduce to what extent and what direction the electrons were moving in the first place. The reason for the experiment was that the direction and extent to which X-rays are polarized carries clues about the way in which X-rays are produced by the Sun. These details were not well known at this time. In operation, the instrument was aimed at the Sun by orienting the entire bay of the orbiter, using a Sun-sensor on the other solar viewing experiment (the Solar Ultraviolet Spectral Irradiance Monitor). The flight plan called for the orbiter to remain in the bay-to-Sun attitude for approximately 28 hours. Because flares occur on the Sun only sporadically in association with other manifestations of magnetic activity such as sunspots, the observation of flare emission is not assured. The instrument had sufficient sensitivity that even a small event can yield a usable signal. In addition, flight rules dictate that if a relatively large flare occurs while the crew is involved in any activity other than sleep, consideration will be given to changing the attitude of the spacecraft to the bay-to-Sun attitude to permit the flare measurements. Time for such a maneuver took an estimated 15 to 20 minutes. The spacecraft could be maneuvered bay-to-Sun while the Plasma Diagnostics Package is deployed on the remote manipulator system in most cases. The Solar Ultraviolet Spectral Irradiance Monitor was designed to establish a new and more accurate base of solar ultraviolet irradiance measurement over a wide wavelength region. The instrument carried two independent spectrometers and an inflight calibration light source which allowed tracking any sensitivity change due to vibration at liftoff or contamination during flight. In addition, the instrument was equipped with seven detectors which allow cross-checks of possible detector changes. Interest in accurate measurements of the Sun's ultraviolet radiation and its range of variability has been heightened recently by increasing concern over long-range changes in the Earth's atmosphere and climate. This short wavelength radiation, absorbed in the outer reaches of the Earth's atmosphere, plays an important role in determining the physical properties of the upper atmosphere and, by implication, in influencing the condition of the lower levels that affect our lives and livelihoods. The goal of the Thermal Canister Experiment was to pave the way for simpler thermal designs for protecting instruments and scientific experiments against extremes of heat and cold in space. With the development of the Space Shuttle, the opportunity exists for carrying out many scientific and technical investigations in the orbiter bay. The objective of the Thermal Canister Experiment was to determine the ability of a device using controllable heat pipes to maintain simulated instruments at several temperature levels in zero gravity, and under widely varying internal and external thermal loads. The experiment was able to maintain a temperature stability of + 3 degrees C under the cold temperatures when the payload bay is in an attitude away from the Sun and under the warm temperatures experienced when the payload bay is pointed directly at the Sun over an extended period of time. 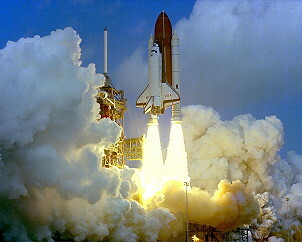 The Vehicle Charging and Potential experiment was designed to measure the overall electrical characteristics of the Space Shuttle orbiter, including its interactions with the natural plasma environment of the ionosphere and the disturbances which result from the active emission of electrons. The experiment measurements provided important information about the behavior of the orbiter with respect to the ionospheric plasma, the extent to which electric charge accumulates on the orbiter insulating (dielectric) surfaces and the manner in which return currents can be established through the limited area of surface conducting materials to neutralize active electron emissions. These measurements provided important practical information which will guide the use of larger electron accelerators on Spacelab 1; the development of plans for dynamic electrical experiments such as the electrodynamics tether system; and as a test of suitability of using the payload bay for making in situ ionospheric measurements of geophysical interest. As part of the OAST program several more experiments were carried out. The primary objectives of the Aerodynamic Coefficient Identification Package were to collect aerodynamic data during the launch, entry and landing phases of the Shuttle, to establish an extensive aerodynamic data base for verification of and correlation with ground-based data, including assessments of the uncertainties of such data and to provide flight dynamics data in support of other technology areas, such as aerothermal and structural dynamics. 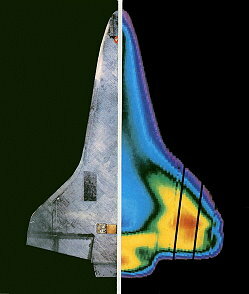 The Infrared Imagery of Shuttle (IRIS) experiment obtained high-resolution infrared imagery of the orbiter lower (windward) and side surfaces during reentry from which surface temperatures and hence aerodynamic heating may be inferred. The imagery obtained utilizing a 91.5-cm (36-in.) telescope mounted in the NASA C-141 Gerard P. Kuiper Airborne observatory positioned appropriately at an altitude of 13,700 m (45,000 ft.) along the entry ground track of the orbiter. 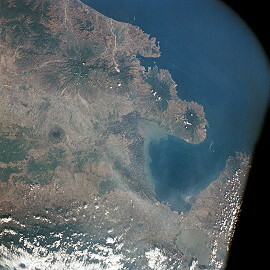 A single image was obtained during each flight. Tile Gap Heating Effects (TGH) Experiment: The orbiter was instrumented with a removable panel 45.7 cm (18 in.) square, which will carry 11 tiles of baseline material and size. The panel was fitted to the underside of the orbiter fuselage. The gaps between tiles were be carefully calculated and controlled during fitting to ensure that the heating rates generated during entry will be no higher than those of the baseline tile array. The Catalytic Surface Effects (CSE) experiment investigated the chemical reaction caused by impingement of atomic oxygen on the Shuttle thermal protection system which was designed under the assumption that the atomic oxygen would recombine at the thermal protection system wall. 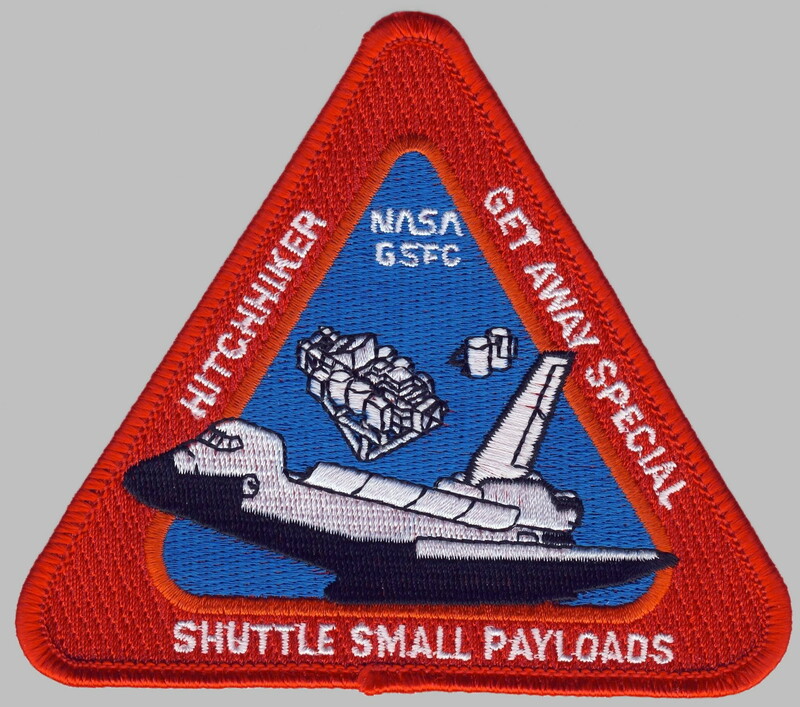 For the first time, a number of experiments were carried in the shuttle's mid-deck lockers. These included a Continuous Flow Electrophoresis System experiment to study the separation of biological components, and a Mono-disperse Latex Reactor experiment, to produce uniform micrometre-sized latex particles. 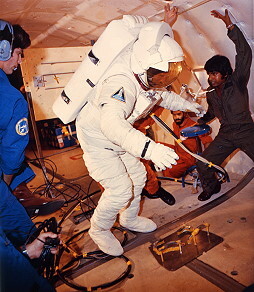 The first Shuttle Student Involvement Project (SSIP)  a study of insect motion - also was carried in a mid-deck locker. The Heflex Bioengineering Test was a preliminary test that supports an experiment called Heflex (for Helianthus Annuus Flight Experiment), part of Spacelab 1 mission. The Heflex experiment depends on plants grown to a particular height range. The relationship between initial soil moisture content and final height of the plants will be determined in order to maximize the plant growth during the Spacelab mission. The astronauts continued in testing the Canadian-built robot arm. Designed as an analog to the human arm, the Canadarm has shoulder, elbow and wrist joints driven by DC electric motors controlled by the flight crew using a combination of direct visual observation and television cameras on the elbow and wrist joints. The arm may be operated in five different modes ranging from full manual to computer-controlled through hand controls and keyboard at the payload station on the flight deck. 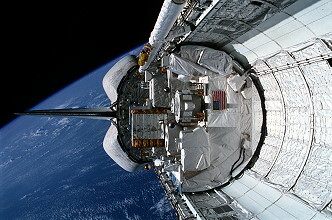 The manipulator system was installed on the left payload bay longeron for STS-3. A second one can be installed on the right longeron for specific payload tasks, although both arms could not be operated simultaneously. The arm, built of a light-weight carbon composite tubing 38 cm (15 in.) in diameter, is 15.3 m (50.25 ft.) long, and weighs 408 kg (900 lb.). A thermal blanket provides temperature control for protecting joint-drive mechanisms and electronics. Brushless electric motors and gear trains drive the joints for pitch up/ down, yaw left/right and wrist roll motions. The "hand", called an end effector, has snare wires that engage a grapple fixture on the payload. Television cameras at the wrist and elbow provide the operator visual cues for maneuvering the end effector toward a grapple fixture or other target. Operator hand controllers are similar to those used for spacecraft maneuvers - a rotational hand controller for roll, pitch and yaw motions, and translational hand controller for up/down, left/right and fore/aft motions. When deactivated, the arm is latched into three cradle pedestals along the left longeron. 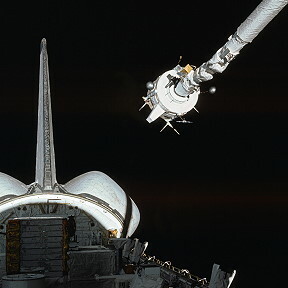 If the drive mechanisms jam and the arm cannot be moved to its stowed position, and if contingency spacewalks are unsuccessful in restowing, the arm can be amputated with a pyrotechnic device. A variety of minor problems were experienced during the flight. 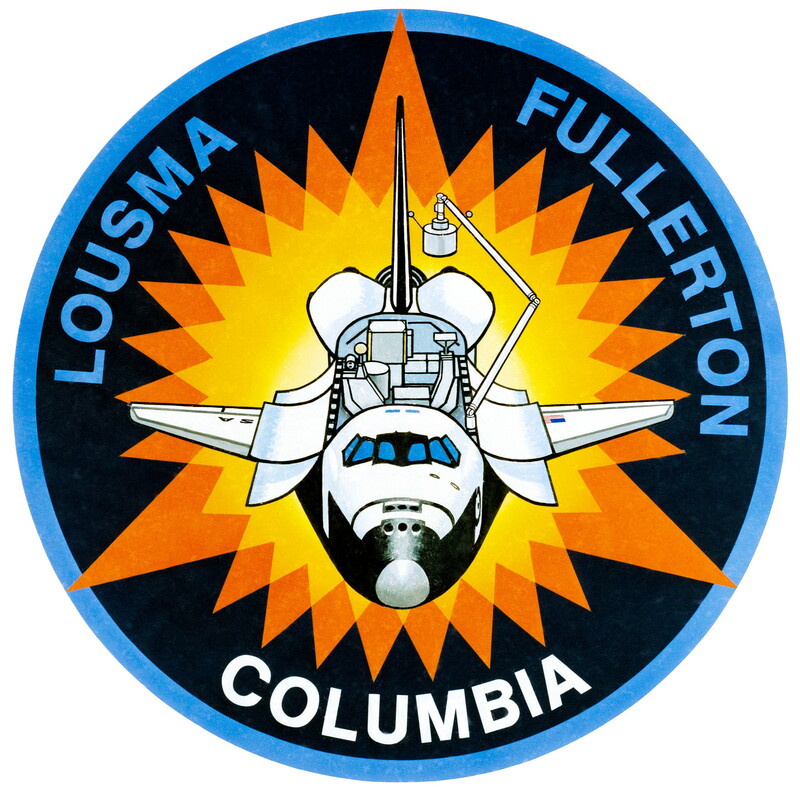 The orbiter's toilet malfunctioned on first use resulting in, according to Jack Lousma, "eight days of colorful flushing"; one Auxiliary Power Unit (APU) overheated (but worked properly during descent); both crew members experienced some space sickness; and on March 26, 1982, three communications links were lost. 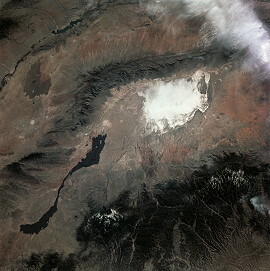 The landing site changed to White Sands since the planned landing site at Edwards AFB flooded due to excessive rain. 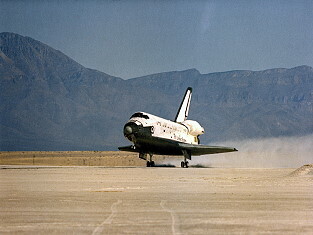 High winds at White Sands resulted in one day extension of the mission. 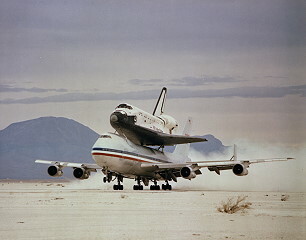 STS-3 was the only shuttle mission to land at White Sands.